The hiring process can be time consuming and financially burdensome for employers. Increased incidence of employee theft, workplace violence, and identity theft necessitate background checks to make the best employment decisions. With background checks becoming a standard item on the hiring checklist, maintaining compliance with the Fair Credit Reporting Act (FCRA) and related state laws can be daunting—and employers can increase their risk of litigation by failing to screen applicants and employees and/or failing to follow proper procedures for doing so under the law. Seyfarth’s Background Screening Compliance & Litigation Team is led by Pamela Devata, a foremost subject matter expert on background screening compliance and litigation issues. The Team regularly defends employers and background screening vendors in class action and single plaintiff cases dealing with compliance issues under the FCRA and other statutes that govern obtaining accurate information about prospective and current employees. 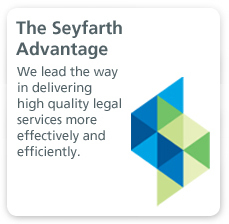 Unlike other firms whose lawyers have only surface-level knowledge in this area, Seyfarth has a team of people across the country whose sole or primary focus is on this type of compliance and litigation. We are intimately familiar with the statutes, interpretive case law and FTC guidance on compliance issues and add value through our tremendous experience, and we have counseled thousands of employers on these issues and represent hundreds of background screening providers. A testament to our preeminence in this area, last year, we testified before the Equal Employment Opportunity Commission (EEOC) about the use of credit checks as a screening tool for job applicants. Furthermore, our attorneys have worked with the U.S. Chamber of Commerce and SHRM to reform and revise provisions of the FCRA that unintentionally restricted workplace investigations. These efforts were rewarded by amendments to the FCRA to change those provisions. An important component of the background screening process is to ensure that employees are properly notified of the checks and that there is consistent application for all employees of the results. 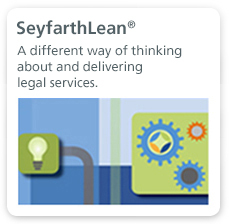 Because of the wide net of regulatory enforcement under the federal FCRA as well as state law versions of the FCRA and increased litigation in this area by, Seyfarth has developed a flat fee FCRA State Compliance Package to ensure employers obtain the information they need to make better employment decisions in compliance with the requirements of the law. Our Compliance Guide contains a summary of the FCRA and summarizes relevant state background screening laws for each of the 50 states. We also have identified those states with their own consumer reporting acts and summarized those compliance requirements as they relate to employers. For all states, we have identified and summarized compliance requirements of particular interest to employers involving consumer and credit reports, criminal and driving records, and education and employment history and verification. 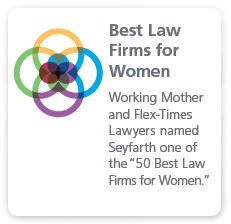 With respect to litigation, Seyfarth has handled many cases and nationwide pattern and practice charges involving the FCRA and the use of criminal and credit checks in employment. We regularly handle both single-plaintiff cases as well as class-wide litigation on behalf of employers and background screening providers.